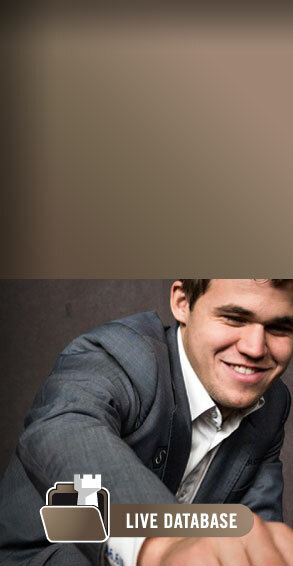 7/30/2016 – Magnus Carlsen has won the event twice before. 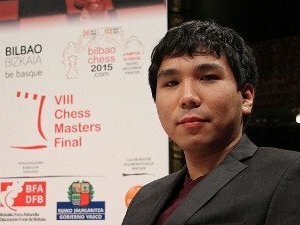 This year the Norwegian World Champion, playing in a six-player double round robin, started slowly, losing for the first time to Hikaru Nakamura in the classical time limit. 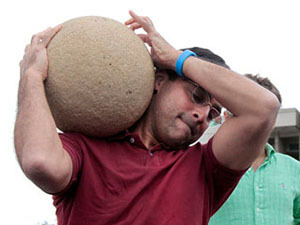 He went on to win four games, one more than all his opponents combined. Huffington Post columnist GM Lubomir Kavalek analyses two games of the winner who turned the other world-class players into spectators. 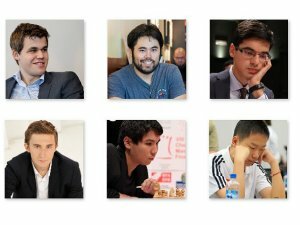 7/21/2016 – Today, 21st July 2016, 16.00 CEST, Magnus Carlsen and Sergey Karjakin will meet in the eighth round of the Bilbao Masters. 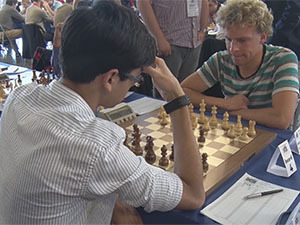 It is the last game these two will play before their World Championship match in November and it will be their 21st game with classical time-control. 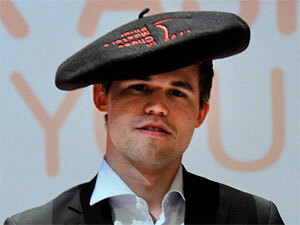 The current overall score favors Carlsen: He won 4 games, lost 1, 15 were drawn. 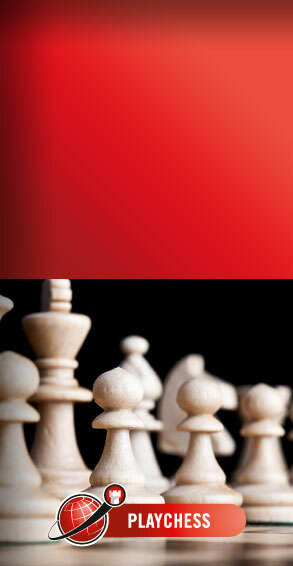 All five decisive encounters were examples of brilliant modern chess. 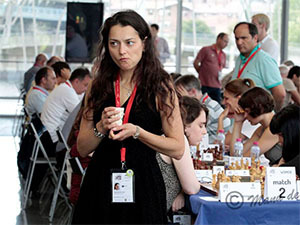 Here they are again – with comments by Mihail Marin, Sergey Karjakin and Magnus Carlsen. 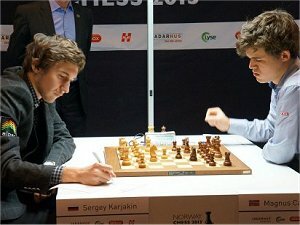 7/12/2016 – All players in the field of the "Masters Final" are tremendously strong and deserve attention but the limelight will definitely be on World Champion Magnus Carlsen and World Champion Challenger Sergey Karjakin. It is the last time these two will meet before their World Championship match in November. 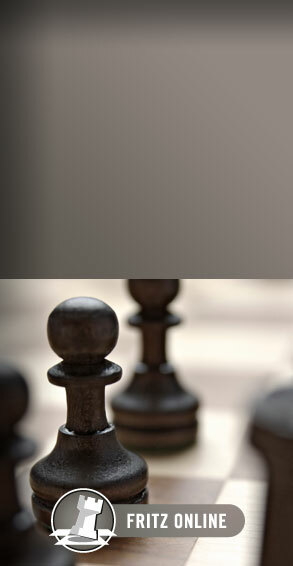 Follow the games live and with commentary on playchess.com. 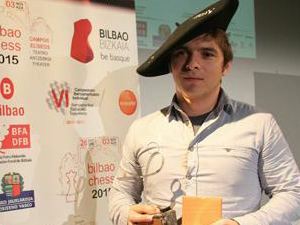 11/6/2015 – Lazaro Batista Bruzón won the Ibero-American Championships, which were played parallel to the Chess Masters Final in Bilbao. The Cuban started with 6.5/7 and finished with two draws to become sole winner with 7.5/9. Half a point behind followed five players with 7.0/9 each. 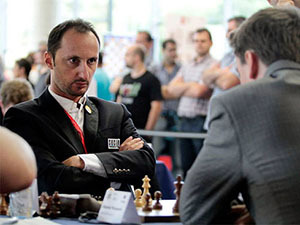 Julio Granda Zuniga became second on tie-break, Axel Bachmann third. 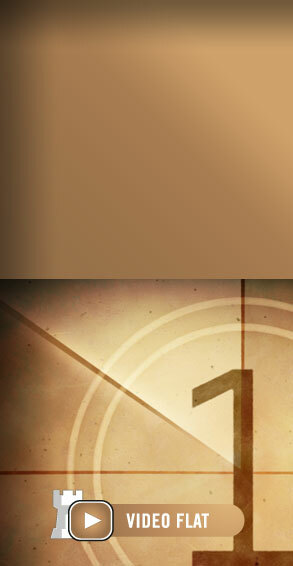 Pictures and games. 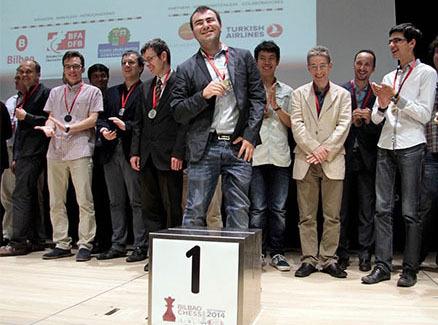 11/2/2015 – Twelve games were played at the Chess Masters Final in Bilbao but only two had a winner. 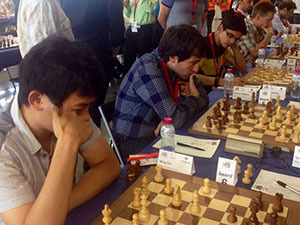 In the first half Wesley So defeated Ding Liren, in the second half Anish Giri won against Vishy Anand. 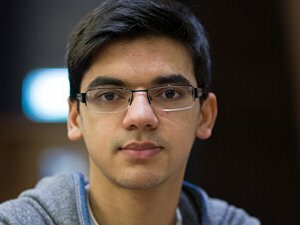 But So won the tournament by beating Giri 1.5-0.5 in the tie-break. In the Ibero-American Championship Lazaro Batista Bruzon leads with 6.5/7, one point ahead of the field. 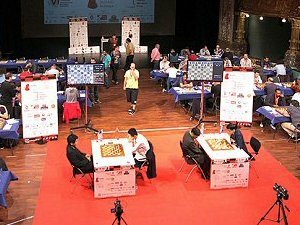 10/29/2015 – In the Chess Masters Final in Bilbao a draw counts as 1-1. 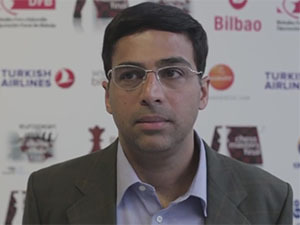 That was the result of both games in round three, So against Anand and Ding against Giri. However, one could not help to feel that Ding and Giri deserved more than a mere point for their impressive and dramatic performance. 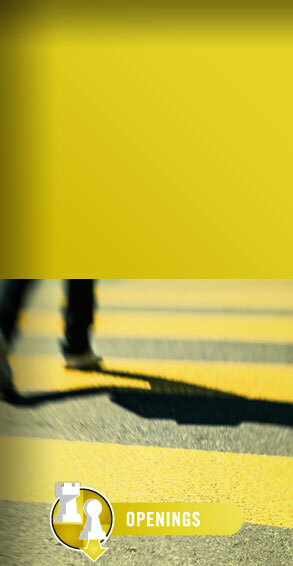 It lasted no less than 172 moves and developed into a drama in five acts. 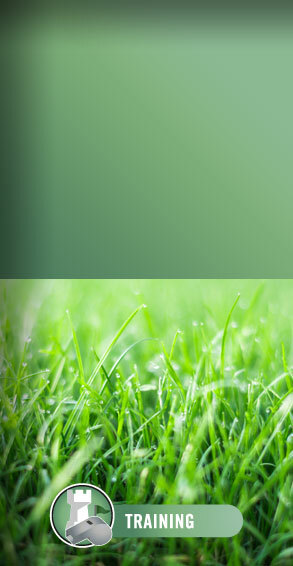 9/26/2014 – Two of the top tournaments of this year have finished in Bilbao. There are many lessons to be learned for everybody, and one of the recurring ones is a problem that affects all chess players, no matter what strength they are: Premature Relaxation! Guest commentator Cristian Chirila brings us his insights in two key games of the ECC and pictures from the closing ceremony. 9/20/2014 – The European Club Cup has come to an end and there was no doubt which team was best in each section. In the Open SOCAR saw another great Topalov performance as his lone victory against Svidler was enough for the Azeri team to win every single match they played. Also in a perfect 14-0 run the Georgian team of Nona beat SHSM allowing Monte-Carlo to grasp at second place. 9/20/2014 – The last round of the tournament in the Grand Slam Final in Bilbao finished with two pretty positional wins by the White pieces. 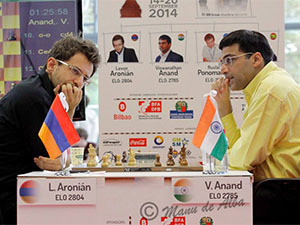 Aronian took out Anand after a couple of inaccuracies by the Indian left his king too weak in a major piece endgame. Vallejo's intrepid c-pawn lunged all the way to c6 where it squashed Ponomariov's position. 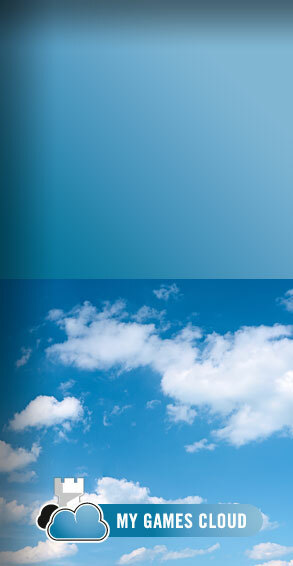 Last round report. 9/20/2014 – Things went as predicted in the Women's section and Nona easily beat their opponents 4-0 to officially become the ECC Women's Champion. In the Open Section a surprising demolishing occurred on the top match as Malakhite fell to SOCAR by an amazing 5.0-1.0, including an amazing king walk by Wang Hao! Bilbao's FB page (probably on tiebreak) already claims SOCAR as the champions! 9/19/2014 – Things are still unclear in the Open section, despite a huge triumph by SOCAR against the number two seed, Obiettivo Risarcimento. Important wins by Topalov and Korobov overshadows Caruana's continuation of his string of successes. In the Women's section it seems as if first place is virtually decided. Nona leads comfortably and has one of the "easy" pairings still left. 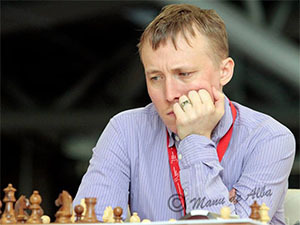 9/18/2014 – In the Open section SOCAR took sweet revenge from last year's match-up against Novy Bor and took a comfortable 4-2 victory, with victories by Topalov, Giri and Radjabov. They face Obiettivo Risarcimento in a thrilling fifth round. Things are going smoothly for Batumi's Nona in the Women's section as they edged out Ugra with a 2.5-1.5 vital victory. Both teams now lead alone. 9/17/2014 – SOCAR was able to easily vanquish Oslo Schakselskap while Novy Bor squashed SK Rockaden 6-0. These two victories put both teams as the leaders since SPB and Obiettivo Risarcimento split the point with six draws each. Tomorrow's match will be crucial to the standings. In the Women's section Monte Carlo finally won a match, though barely, while SHSM could not hold the lead. ECC 02: Demolitions and Surprises! 9/16/2014 – An exciting game in the European Club Cup in Bilbao. In the Open section the big news of the day was the board one matchup between SHSM and SOCAR, in paper a close one, but one that was dominated by the Azerbaijani team with a brutal 5-1 score! Mamedyarov, Topalov, Adams, Radjabov vanquished Nepo, Morozevich, Dreev and Dubov. In the Women's section Monte Carlo lost yet again!